A beach is one of the few places on earth, which makes one realize how big our mother earth is and how small we all look in front of it. Also, it is one of those places, which provides extreme peace and relaxation to people, in search for serenity. Kozhikode Beach is the most popular attractions of Kozhikode, which gives sunset viewers an unforgettable sight of Arabian Sea and soothing water, reaching the shore in a rhythmic way. The old lighthouse and two crumbling piers that run into the sea, add to the beauty of the beach and retain its old world charm. 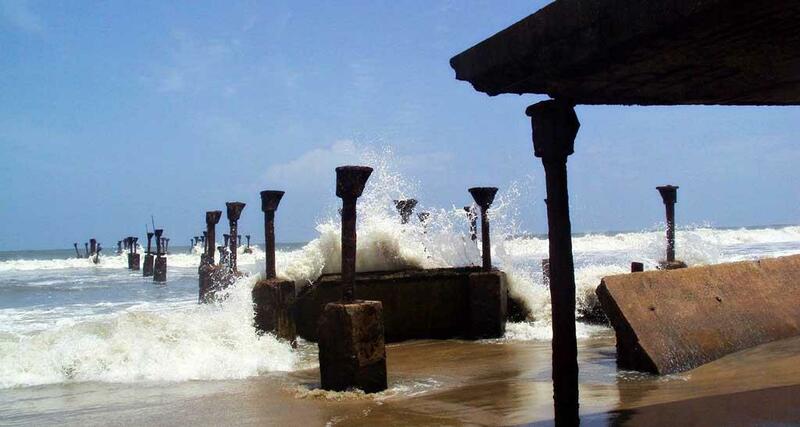 This beach has a prominent place in the history of Calicut as there used to be a key port, where traders from Arabia and China weighed anchor and had been trading for centuries. The dock used by them still exist in the same place, though in ruins now. The 19th century piers have withstood the merciless beatings of waves, but have finally begun to collapse. This exotic destination gives tourists a wide option to spend an evening chatting or gazing at the setting sun and enjoy scrumptious food, served at the beach shacks. Its perfect setting and wonderful surroundings make it an ideal place to relax and unwind and take bath in the crystal clear water of Arabian Sea. The beach is surrounded by plenty of restaurants, hotels, and spa, where tourists can indulge in soothing activities to get a joyous feeling.